With our doors come beauty as well as practicality. Select from our range of beautifully made and fitted doors available in many areas across the UK at cost effective prices. With so many styles and colours to choose from picking out the right door can be tricky. Here at Crown we offer a wide range of different options and team it up with unbeatable customer service so choosing the right door for your home isn’t as difficult. We guide you through the whole process and give our expert opinion on the product right for you. We have many styles and choices to suit your specifications of size and budget. The right door can add a lot of style and quality to your property. Each door is made to measure and custom to your specifications.  At Crown, we take pleasure in assisting you with your Door project from start to finish, We appreciate that this is a large investment for you and choosing the right company is important, which is why we feel Crown are the company to provide you with the right door for you. UPVC doors are long standing, hard material. They are made from the material unplasticised polyvinyl chloride, which is one of lowest maintenance building materials and lasts for a long time. Patio doors are doors especially created as a large glass sliding door leading to a patio, garden, or balcony. They are a decorative, aesthetically pleasing element to your home. Bi folding doors otherwise known as folding doors are simply doors that can fold in or out to open up a space in a desired location. Folding doors can create a great 90% clear opening. GRP Composite Doors are made from polyester and make a great exterior door because of the low maintenance, rust and dent proof and can be styled in various ways.